When car-makers start to utilize hybrid technology to boost performance and make their vehicles go faster, we've clearly turned some kind of corner. Hybrids, once considered to be bridge technology until manufacturers could design the perfect battery, can also substantially enhance a car's power, as it turns out. 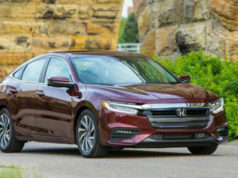 Honda took a shot at convincing buyers of this with the Accord Hybrid, a few years ago. A deceptively fast car with excellent fuel economy, it went nowhere in the market and was deep-sixed by the company two years after they introduced it. Visually, the M35h is indistinguishable from the M37 sedan, and is part of the company's overall 'eco-strategy'. 'The only real difference externally is the badging,' explained Nissan Canada's corporate communications manager, Didier Marsaud, at the recent launch of the M Hybrid, in Vernon. Under the skin, however, it's a different situation. 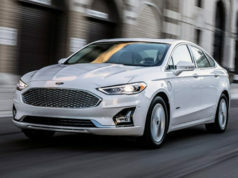 Attached to the company's familiar 3.5 litre VQ V6 engine is a 50 kilowatt (67 horsepower) electric motor and a seven-speed transmission with four performance settings. The engine has been given the Atkinson Cycle treatment, which means it has a more efficient combustion process than usual, and total power output for this combo is 360 horsepower'..30 hp more than the M37. Enough to send this particular hybrid from 0 to 100 km/h in about six seconds, depending upon which transmission setting you choose. The M35h also has a lithium-ion battery pack located in the trunk, and is about 270 pounds heavier than the M37. A word about the transmission. Located on the centre console is a rotary knob that allows you to pick Standard, Sport, Snow, or Eco modes. Briefly put, the first setting is geared toward everyday driving conditions'..commuting to work and so on. The 'Sport' setting, meanwhile, changes the transmissions' shift points and gets maximum performance out of the engine / electric motor. The 'Snow' setting minimizes wheel-spin in slippery driving conditions, and the Eco setting'.well, that's obviously aimed at squeezing as much mileage as possible out of every drop of gas, while emitting clean exhaust. This latter setting also has an interesting little feature in the form of the 'Eco Pedal'. In a nutshell, this arrangement increases throttle pedal resistance and pushes back lightly on your right foot when you apply the gas, which in turn forces you to ease off. The result is a five per cent gain in fuel economy, according to Infiniti. And we may as well talk about the interior of the M35h while we're at it. In a word, it is spectacular. Along with Audi, Infiniti is currently designing some of the most attractive and useable interiors in the industry, in my opinion. Everything is beautifully laid out, with manageable switchgear, sensible ergonomics and an overall upscale ambience that few other carmakers can top. Lots of intriguing little extras too. For example, Forest Air, which'.well, let Infiniti describe it: 'Advanced auto-recirculation helps neutralize odours first by closing outside vents when unpleasant scents are detected, and then by cleansing and purifying interior air to remove airborne allergens. The purified air is circulated with the gentle ebb and flow of a breeze, rejuvenating and soothing the senses.' Sounds like a spa. In fact, the M Hybrid is kind of a rolling showcase of what Nissan / Infiniti is capable of when it comes to safety and convenience goodies. My favourite may be Active Noise Control, which is essentially comprised of a small microphone located in the ceiling of the car that picks up 'undesirable low-frequency engine noises' and cancels them out by emitting sound waves of the opposite phase. Whatever it is, it works; this is one of the quietest vehicles I've ever driven. Here?s another one: when you walk up to your parked M Hybrid, your key fob alerts the car to your presence, and subtle external and internal lights will active themselves so you can see your way. As well, the car will automatically go back to whatever seat, audio, climate control, and navigation settings you had when you got out of it. And let?s not forget handling and performance. Normally, when we think of hybrid vehicles, we visualize mediocre slugs like, oh, the Toyota Prius or Honda Insight. Forget that. Turn the transmission setting to Sport, and you?re piloting a quick automobile, with a tight turning radius, outstanding braking and a cornering ability that belies its overall size. The M35h is not a small car, but, should the mood strike you, it?ll handle itself like a sports car. And what about fuel economy? This is a hybrid, after all. According to Infiniti, the M35h will deliver 7.5 L/100 km in town and 6.1 on the highway, which is less than most conventional hybrids, but still, not too shabby. At the current price of fuel, Infiniti says it?ll run most owners about $1580 a year in fuel costs. Only one model of the M35h will be offered in Canada, and it will be loaded, priced at $67,300 before taxes and levies. 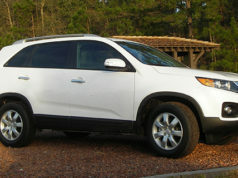 Alternatives: Nissan Altima Hybrid, Ford Fusion Hybrid, Hyundai Sonata Hybrid, Lexus GS450h.